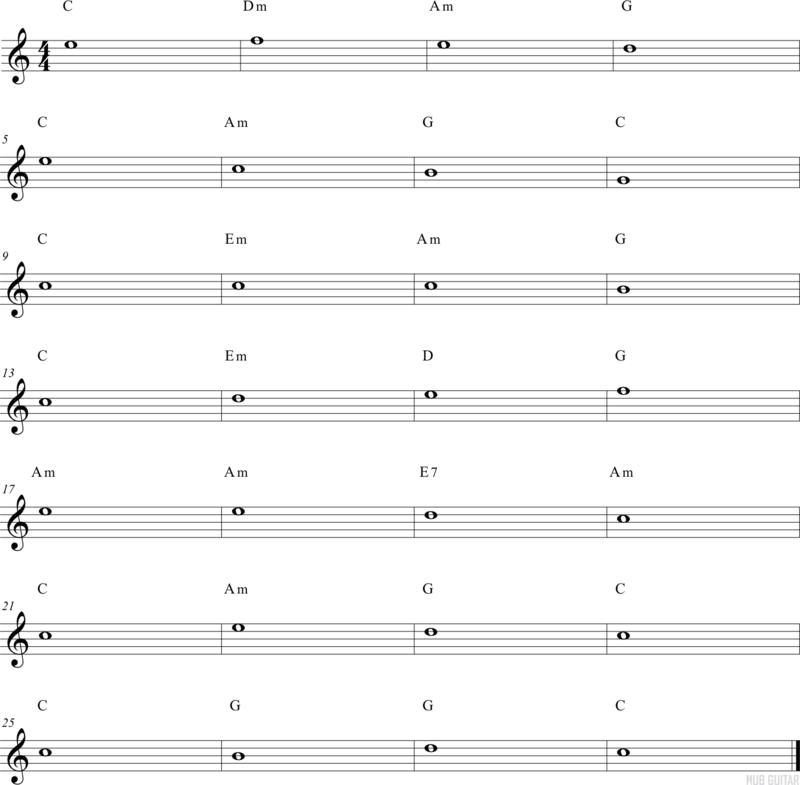 This simple exercise uses basic open chords. Play the chords first. This simple melody moves by step along with the chords. This should be read in Position I or Position V. (In the open position or at the Vth fret.) It is recommended to read it in both positions.